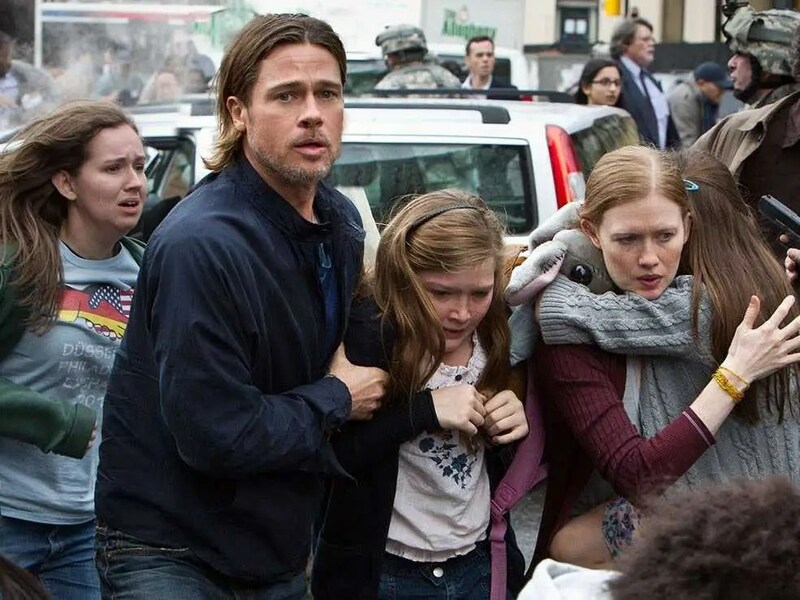 I recently saw World War Z. While I could describe at length how tedious and generic it is, this would result in just another tedious, generic review, so instead I will merely be describing the film’s plot. There are only spoilers if you don’t know the formula for these films. 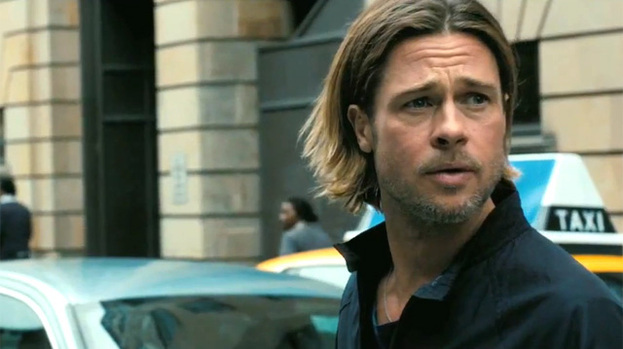 It’s the near future, and Brad Pitt is disguised as Richard Herring. As part of his mission under cover on the British comedy circuit he seems to have gained some knowledge important to a zombie apocalypse. When an outbreak happens he is with his wife, played by a bargain basement Jessica Chastain (Mireille Enos), whose character seems to be based on Chastain’s highly-praised performance as Boring Lady in Zero Dark Thirty. When he is roped in to help the authorities fight the undead, his unalive wife and children are left somewhere safe for the rest of the film. Pitt ends up in Jerusalem, because, well, we’ve all seen New York, London, Paris and Washington DC destroyed by an apocalypse a million times, and there really aren’t many places left to go. Luckily, the people of Jerusalem have built a massive zombie-proof wall, based on the flawless and highly offensive logic that since many Jews didn’t expect their people to be massacred by the Nazis they now have to massively over-prepare for whatever ludicrous threat is suggested to be coming their way. The defences prove not to be enough against the overwhelming power of CGI, however, as the synthetic swarms scale the walls. While in Jerusalem, Pitt picks up a boring soldier lady (Daniella Kertesz) who seems to be a boringer version of Agatha from Minority Report, although this might just be because they both have shaved heads. Her hand gets bitten by a zombie so Pitt cuts it off in a 15 certificate-appropriate way. Realising that this pointless detour to Jerusalem was probably just to flesh out the film, Pitt and his new lady friend give up on saving the Holy Land and board the next plane Westwards. Inevitably someone on the plane is infected, and they go through all the steps used to fight the snakes in Snakes on a Plane. First they pile up baggage to block out the zombies, then blow open the side of the plane so they all fly out. Zombies on a Plane then crash lands conveniently close to a World Health Organisation outpost in Wales. When they get to the outpost, that bloke from The Thick of It shows up to whip them back into shape. Pitt has realised that there’s a way to hide from the zombies by injecting something. The only problem is…the cure is in a branch of the building overrun by zombies. He goes and gets it. Based on a sample size of one, they roll out the cure on a large scale. Moral of the story: scientific malpractice will be the saviour of us all. I don’t write about this film in such a horribly facetious way because it’s the worst film ever. It isn’t. But it does feel like another boring, sterile, predictable, bland, Hollywood picture that never needed to be made. It combines the boring family from War of the Worlds with the boring zombies from I Am Legend and the boring plot of Contagion. When a film is this formulaic it should have the common decency to not take itself too seriously and maybe try and have a joke or too. Playing it this straight, as if it’s something fresh and original, when it’s something we’ve all seen before, is just horribly unconvincing. Let’s be honest, zombie films have pretty limited scope, and may well have run their course. You need a creative and interesting take to make something vaguely tolerable in this genre now, which this film is sorely lacking. More like World Bore Z.